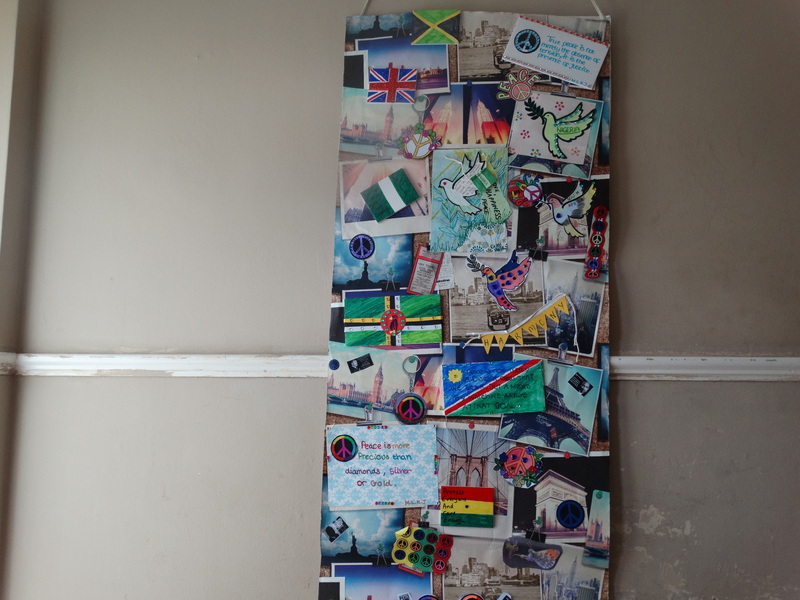 A collage for ‘peace’ created by families during Commonwealth Day celebrated on 11 March 2017. Universal Celebrations is a community project which brings people of different faith, age groups and backgrounds together in celebrating important anniversaries and events. The first event was held to commemorate Commonwealth Day on 11 March on the subject of peace. Families worked together creating images and craft for a collage. There was an evening event held to launch a poetry anthology titled ‘Voices’, which contained poems written by members from the community. Further events to mark Refugees Day and Youth Day will follow in the summer.